Is Obama Preparing to Lead a Coup Against President Trump? Why Does He Have a Private Army Consisting of Thousands? Why IS He Only a Short Way From the White House? What Is He Really Up To? Obama has initiated a new strategy for the liberal left, MOB RULE! Ed Henry from Fox News reported on the Fox news show on October 11, 2018, Fox and Friends, that he has uncovered evidence that Obama was planning to lead a movement of incivility against the Trump administration and all conservatives, in general, weeks before leaving office, should Trump prevail and win the Presidential election. This revelation should not be surprising to anyone familiar with Obama’s background. His only job prior to his one term of being an Illinois State Senator and a partial term as a US Senator, prior to becoming the President was that of being a “community activist”. Some community activists provide a valuable service to their community. Most do nothing but serve to mindlessly disrupt the day to day function of a community with nonsense, liberal-based politics. Obama was the latter. 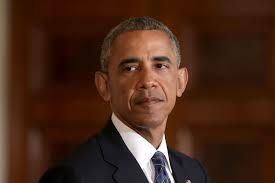 It is interesting to see how Obama has returned to his role as a community activist, only this time, he is performing this function on a grand scale and on behalf of the globalist forces that would subjugate this country by destroying its civil liberties, economy, it border security and its sovereignty. Obama is now doing what he does best, destroying the status quo by tearing down, not by building up. Obama is nothing but a domestic terrorist and he is leading liberals into a very dark period of Mob Rule. “Mad” Maxine Waters, D-CA., and Cory Booker, D-N.J., in a well coordinated attack on traditional, conservative Americans, have simultaneously called for Democratic supporters to engage in extreme intimidation of conservative Republicans and Trump Cabinet members no matter where they are. They want no conservative to feel safe in public or even at their homes. The deranged left wants more brutal beatings like the one administered to Rand Paul; R-KY., in his backyard which broke 6 ribs, punctured his lung and gave him life-threatening pneumonia several times. In short, Senator Rand Paul was beaten within an inch of his life while the mentally unhinged left of this country celebrated. It is one thing for Rand Paul to be on the front line and face the dangers created by the Obama-led stooges. It is quite another consideration when spouses are are brought into the intimidation. Rand Paul’s wife, who is as low-profile as they come, stated that she is so fearful that she sleeps with a loaded gun.